We’re excited to release this month’s album from the Blake Lyman Quintet! 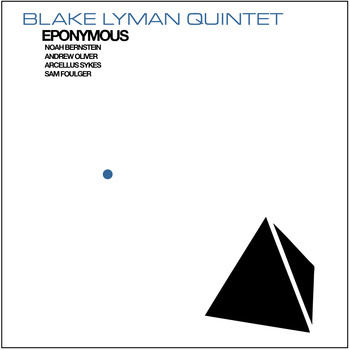 “Eponymous,” the debut record by the Blake Lyman Quintet, is an elegant collection of melodic modern jazz. Blake is an underappreciated tenor saxophone player and composer originally from northern California, and he has assembled an all star line up of Portland talent to breathe life into this collection of forward thinking modern jazz compositions. Noah Bernstein, also on saxophone, has toured the world with experimental indie-pop group TuneYards and currently plays in 90’s throwback R & B group Shy Girls as well as avant-garde jazz ensemble Get Smashing Love Power. Keyboard player Andrew Oliver is best known for his work with the Kora Band, a West African and Jazz fusion group, as well as the award winning Canadian-American collective Tunnel Six. On “Eponymous,” the Blake Lyman Quintet create a lush, accessible soundscape that is both sophisticated and extremely lyrical. Available online and at Music Millennium May 15th; CD Release Show June 2nd at the Blue Monk on SE Belmont.